224 pages | 30 B/W Illus. The central concerns of mobilities research – exploring the broader context and human aspects of movement - are fundamental to an understanding of the maritime freight transport sector. Challenges to the environment, attempts at more sustainable practices, changes in the geoeconomic system, political power, labour, economic development and governance issues are all among the topics covered in this book. 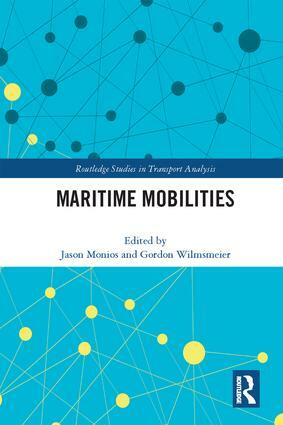 The aim of this volume is to address issues of maritime transport not only in the simple context of movement but within the mobilities paradigm. The goal is to examine negative system effects caused by blockages and inefficiencies, examine delays and wastage of resources, identify negative externalities, explore power relations and identify the winners and losers in the globalised trade system with a particular focus on the maritime network. Maritime Mobilities therefore aims to build a bridge between "traditional" maritime academic approaches and the mobilities paradigm. This volume is of great importance to those who study industrial economics, shipping industries and transport geography. Jason Monios is Associate Professor in Maritime Logistics at Kedge Business School, Marseille, France. His research areas include intermodal transport and logistics, port system evolution, collaboration and integration in port hinterlands, port governance and policy, institutional and regulatory settings and port sustainability. Gordon Wilmsmeier holds the Kühne Professorial Chair in Logistics at the Universidad de los Andes in Bogotá, Colombia. From 2011 to 2017, he worked as Economic Affairs Officer in the Infrastructure Services Unit at the United Nations Economic Commission for Latin America and the Caribbean (UN-ECLAC).